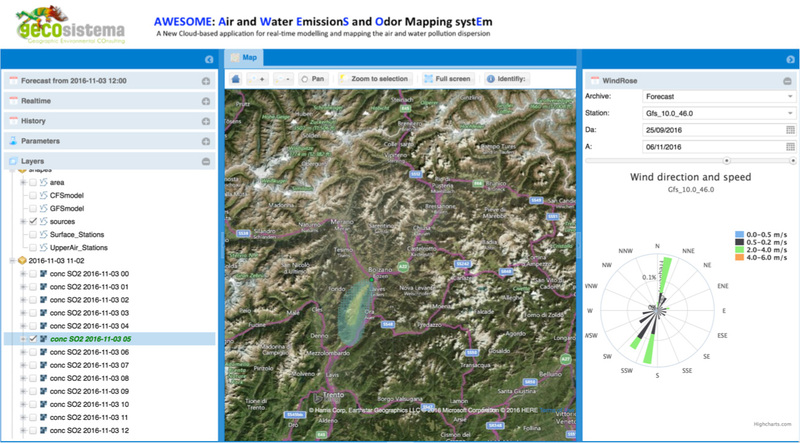 AWESOME provides a low-cost and user friendly DSS platform for forecast and real-time modelling, mapping, management and monitoring the air, odor and water emissions released by an IPCC industrial site. AWESOME is developed as a “Plug&Play” Cloud-based application and can be easily plugged into the available monitoring system (air, water and odor) of the industrial IPCC site. AWESOME can contribute to reduce the cost of environmental modeling studies, air emission management systems, the conflict with neighboring land uses, and administrative time needed for technical investigations and authorizations for emissions. AWESOME allows the industrial company to visualise and map the distribution of concentrations of chemicals introduced into the environment as it is in real time (diagnostic mode), and on the basis of hydrological or meteorological forecasts in the near future (prognostic mode, with a horizon of a few days). We tailored the AWESOME platform based of the customers needs and study area characteristics (extension, number and types of sources, orography, landuse, ect). 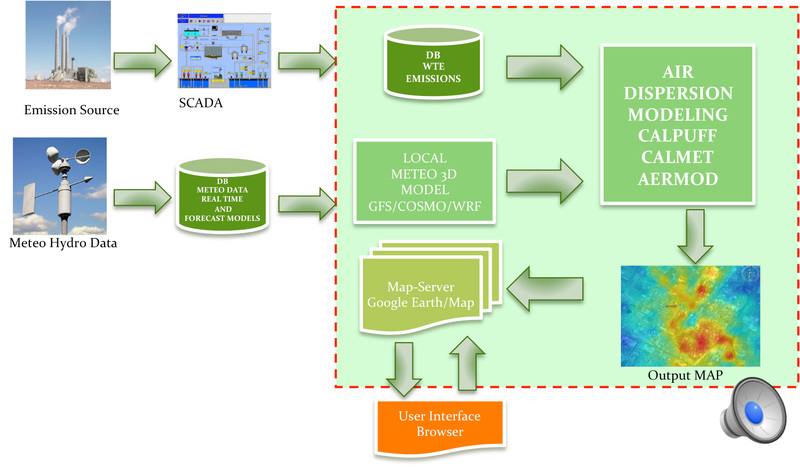 The AWESOME modelling suite can assess the consequences of particular extreme hydrological or meteorological conditions, allowing the industrial manager to quantify and visualize the dispersion of pollutants, the system highlights the potentially critical situations or otherwise undesirable and “room for maneuver” as possible, in this way supporting the manager of the plant in the preparation of mitigation measures designed to nullify or reduce the inconvenience to sensitive receptors and impacts on human health and ecosystems. 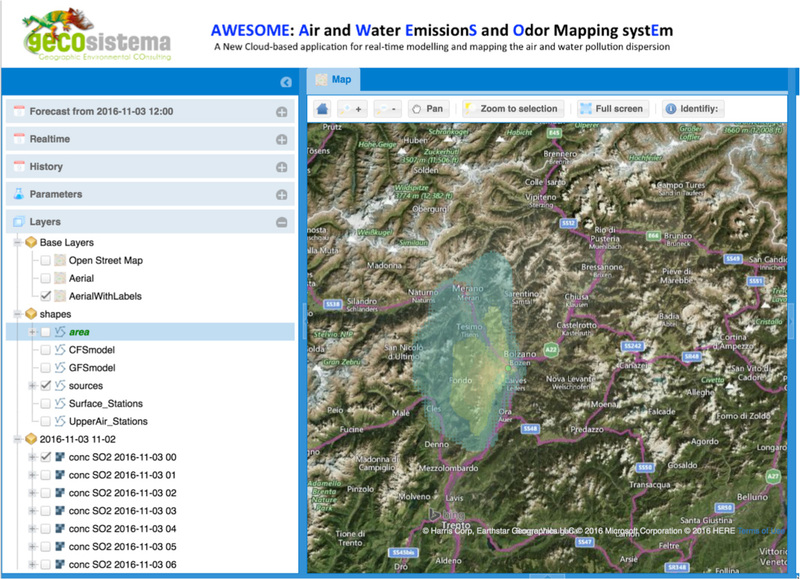 AWESOME is developed as a Cloud-based application and can be easily plugged into the available monitoring system (air, water and odor) of the industrial IPCC site. Find out the AWESOME demo now!